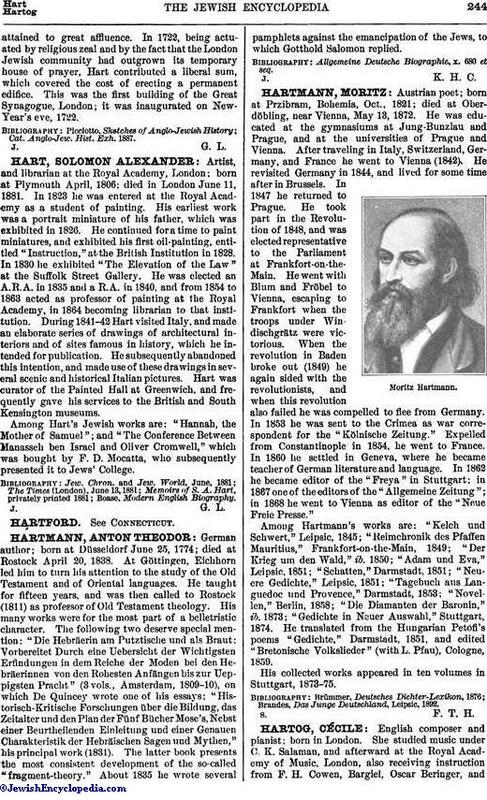 English composer and pianist; born in London. She studied music under C. K. Salaman, and afterward at the Royal Academy of Music, London, also receiving instruction from F. H. Cowen, Bargiel, Oscar Beringer, andKarl Klindworth (Berlin). Cécile Hartog has published a number of songs and of pieces for piano and clarionet. Among her musical settings the best known are: Browning's "The Years at the Spring," Lang's "Northern Song," Zangwill's "Sunset," Heine's "Snow May Drift," and Mrs. Lucas' "Song of the Jewish Soldier." Her first and great success was "Swinging." 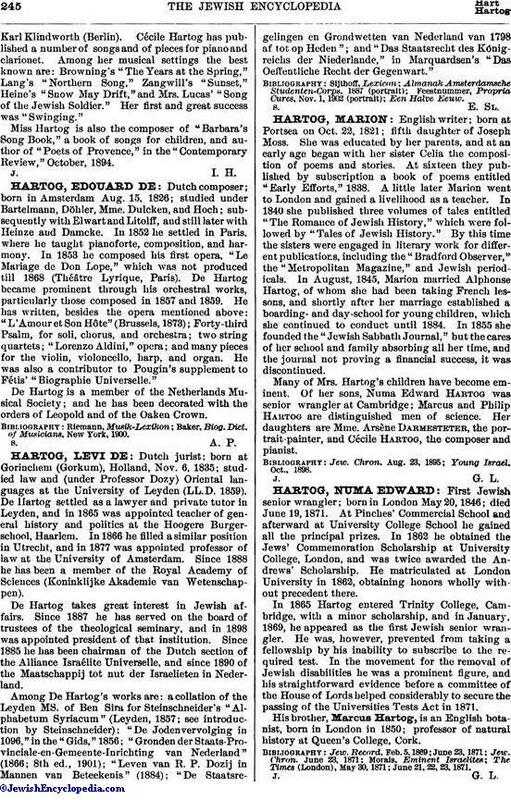 Miss Hartog is also the composer of "Barbara's Song Book," a book of songs for children, and author of "Poets of Provence," in the "Contemporary Review," October, 1894.